Food allergens are a growing public health concern that affects an estimated 15 million Americans, including six million children. For those with a food allergy a single bite of food could trigger a reaction ranging from a mild response like an itchy mouth, to anaphylaxis, a severe and potentially deadly reaction that requires immediate medical assistance. IDDBA is focusing its 2016 Safe Food Matters! campaign on best practices and training to decrease the likelihood of food allergen occurrences and cross-contact in the products they sell to their shoppers and consumers. For over 25 years, IDDBA has been a leader in providing quality food safety information to its members, usually free of charge. What ingredients can trigger a food allergy reaction. The difference between a food intolerance and a food allergy. How to assist shoppers who have food allergies in their purchases. Ways to decrease the risk of cross-contact when preparing and selling food. That’s an important mantra for allergen-friendly businesses and one that 30-year foodservice expert, Joel J. Schaefer, lives by. 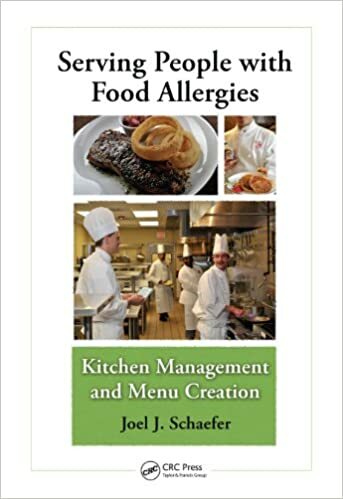 Schaefer CCC, CHT, is an author, chef, and educator specializing in culinary education and product development for food allergies and special diets. He currently works as an executive chef at Concordia University and owns Allergy Chefs, Inc. He is assisting IDDBA on the Safe Food Matters! Focus on Allergens initiative. IDDBA has developed a best practices document with Chef Joel. Safe Food Matters! can benefit your business RIGHT now. Take action! Food safety certify more dairy, deli, and bakery associates by getting reimbursed (up to $2,000) annually. Food Allergies: What you need to know.